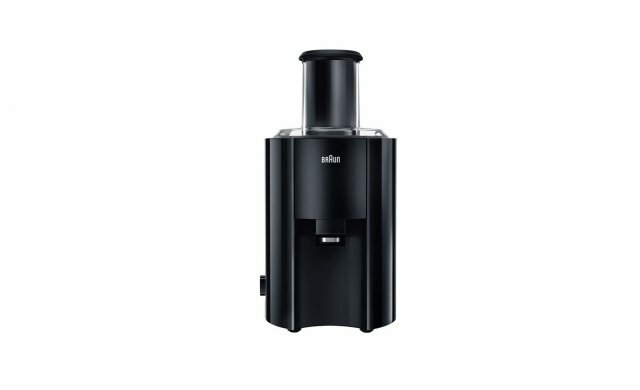 Made out of high gloss plastic body with stainless steel accents*, the Braun MultiQuick 3 Juicer J300 is a robust yet elegant and compact appliance. Every line, every detail has been thought through carefully to combine form and function, beauty and performance. Dishwasher safe parts Easy & time-saving – can be disassembled in a few quick steps before putting the removable parts into the dishwasher. 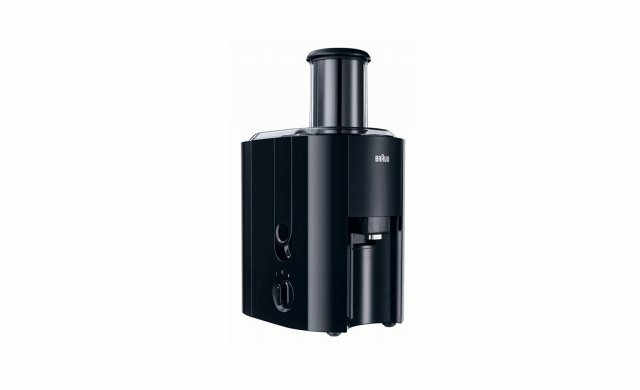 High-performance juicing system Enjoy your early-morning vitamin boost quickly and without extra work. The high-performance juicing system gets the most out of your fruit. It only takes 15 seconds to make a refreshing, healthy glass of juice. The process is not only quick but also convenient and efficient: the powerful motor and automatic feeder system allow you to effortlessly create perfect juice. Nothing but pure juice Simply pour and enjoy! The perfect combination of foam separator and stainless steel micro-mesh sieve remove any foam, ensuring that you get nothing but pure juice in your glass. 4-way safety system The Braun 4-way safety system ensures a safe experience – if one of the 4 security conditions isn’t met, the motor stops within 3 seconds. Make juice with whole fruits The large chute is perfect for processing whole fruits: no need to spend time pre-cutting anything, simply throw in large chunks or whole fruits and let the juicer transform your ingredients into a delicious beverage. The ultimate convenience.